Author and journalist, Orwell was one of the most prominent and influential figures in twentieth-century literature. His unique political allegory Animal Farm was published in 1945, and with the dystopia of Nineteen Eighty-Four brought him world-wide fame. Politics and the English Language' is widely considered Orwell's most important essay on style. Style, for Orwell, was never simply a question of aesthetics; it was always inextricably linked to politics and to truth. 'All issues are political issues, and politics itself is a mass of lies, evasions, folly, hatred and schizophrenia.When the general atmosphere is bad, language must suffer. 'Language is a political issue, and slovenly use of language and clichés make it easier for those in power to deliberately use misleading language to hide unpleasant political facts. 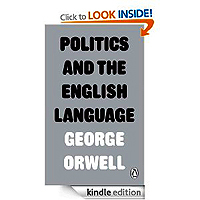 Bad English, he believed, was a vehicle for oppressive ideology, and it is no accident that 'Politics and the English Language' was written after the close of World War II. This very slim pamphlet contains two of George Orwell's pieces, his essay "Politics and the English Language" and his review (written in 1940) of Hitler's Mein Kampf. I had read the essay before but it was good to read it again. On one level, it is a very concise guide to written style, which would help any writer to write in a clearer and more original way. He does set out six very helpful rules about writing but what is perhaps more helpful is the more general advice is that a writer should think about what he wants to say and then find the most suitable words to express his thoughts. Orwell's criticism is that people tend to apply well worn (and often frequently meaningless) phraseology which creates empty writing. On another level, Orwell believed that this distortion on language was having a bad effect on political discourse and worse, that politicians used language to explain away terrible actions. Today, we see phrases like ethnic cleansing or extraordinary rendition and it is not clear that what we are really talking about is mass murder and forcible abduction. Orwell asks that we use more concrete language so that the meaning (however unpleasant) is clear. This is an important essay that remains relevant today. 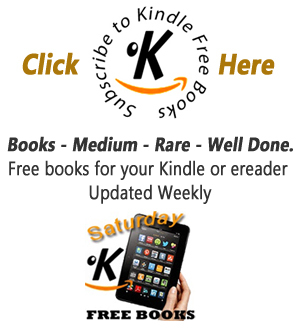 Having read and reviewed Hitler's Mein Kampf myself, I found it fascinating to read what Orwell had to say about it. I of course read it with the knowledge of the Second World War, the views of various historians and the events of the Holocaust in mind. Orwell writing in 1940 did not have this hindsight. What is interesting is the Orwell tries to explain the contemporary appeal of Hitler. Until the Second World War started, Orwell noted that the property owning classes (presumably in Britain) were prepared to forgive Hitler anything because he had crushed the German labour movement and that people both on the the Left and the Right thought that National Socialism was just a form of Conservatism. Such views obviously were reassessed when war began. I was reawakened to Orwell when the BBC went on strike last month and Radio 4 played a show exploring Orwell and his works. Remembering his books, I thought about the lack of academic essays in the public domain, and decided to read one of Orwell's essays. I wasn't 100% sure about what I was ordering, so I wasn't surprised when a light looking pamphlet turned up. The writing itself is very engaging and provokes questions on the application of the English Language, which is worth a read. The pamphlet also includes a review of Hitler's 'Mein Kampf' which I wasn't expecting. All in all, a different, enlightening read.